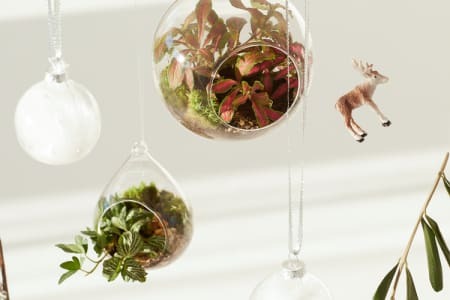 Leafage are here to spread the love of Terrariums to urban dwellers! 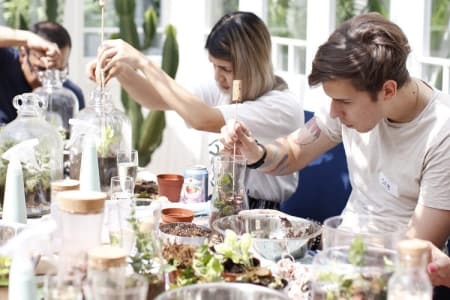 Leafage walk you through our step by step guide of how to create a self-contained garden that’s grown in a closed glass container. Think of it as a mini-greenhouse, a perfect miniature garden for urban dwellers. Great workshop! It was nice to have guidance for the trickier bits of the class. It was even nicer to leave with my finished terrarium! Fun, high energy class. Left with a gorgeous little terrarium for my indoor garden. Lovely way to spend the evening. Kay at We Are Leafage is so lovely and really passionate. 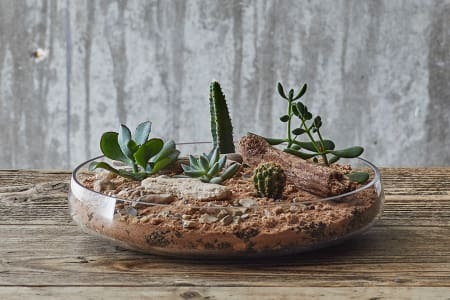 The materials to make the terrarium are all great quality which means the final piece is something you can be proud of! An engaging, fun workshop. The prosecco was also delicious! Kay was a great host - made us all feel really welcome and was super helpful. The atmosphere was cosy & fun with a few classes of prosecco! Great for a winter activity! Great class overall. 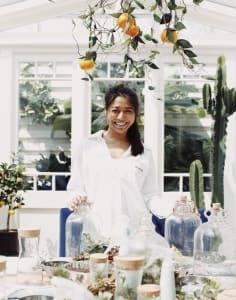 Good to hear about history and theory behind terrariums. Fairly easy technique to learn. The instructor was a lovely lady. Would have been good if she could have spread her time more evenly between all participants.